Dr. Michael Yeh, D.D.S., M.S.D., P.S. Why should you trust your family dental needs to Dr. Michael Yeh? Dr. Michael Yeh has been an implant dentistry and Prosthodontics specialist for over 20 years. He continues to help improve the dental health, confidence and overall health of thousands of dental patients. He works with children, teens, adults and the elderly. 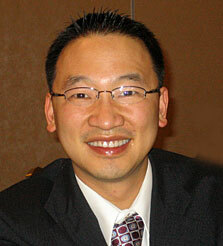 Dr. Michael Yeh is the trusted dental implant specialist in Seattle. He’s known for his excellent dental work in restorative dentistry, cosmetic dentistry and implant dentistry. Dr. Michael Yeh holds a dental credential not held by other dentists in Washington. He’s the only Board Certified Diplomate and Fellow of the American Board of Oral Implantology and Implant Dentistry in King County, WA. This means he has the highest level of competence in implant dentistry. This dental credential can only be achieved through a rigorous examination process. His education and training allows him to handle the most difficult dental cases. Below is a short list of his dental education. He received additional training to become a Certified Prosthodontist. He did this by completing a 3 year advanced dental program for prosthodontics and implant dentistry. This gave him more expertise in diagnosing and treating difficult dental problems. Once his prosthodontics residency was finished he received the Specialty Certificate in Prosthodontics and Master of Science in Dentistry Degree in 1998. This was from the Graduate Prosthodontics Program at the University of Washington. He’s the only implant dentist holding all Fellow, Master and Diplomate status of the International Congress of Oral Implantologists in Washington. It’s the highest honor given to a dentist. They can only be obtained through extensive patient case documentation and oral examinations. Dr. Yeh is a Clinical Assistant Professor at the Graduate Prosthodontics and Restorative Department. It’s located at the University of Washington School of Dentistry. He lectures nationally and internationally on comprehensive esthetics. This includes treatment planning and advanced implant dentistry. He has served as Board Examiner for the Board of Prosthodontics for Oregon State. Dr. Yeh believes in being a specialist and not a generalist. He specializes in different types of dental specialties. These dental specialties are what draw patients to his three dental office locations, year-round. Each of his dental specialties is designed to restore your teeth, gums and jaw to proper working order. And to give you the smile and self-confidence you once lost. Surgical Prosthodontics: This covers implant surgery, bone graft/augmentation, sinus lift procedure and gum graft. Many teeth are restored and saved with this critical dental procedure. Fixed Prosthodontics: Fixed prosthodontics covers cosmetic crowns, bridges, veneers and full mouth reconstruction. If your mouth has suffered a traumatic accident this procedure will save your oral health and function. Removable Prosthodontics: Dr. Yeh puts in custom dentures and partials with no hooks. This is a great choice for old and worn out dentures and partials. Implant Prosthodontics: Dr. Michael Yeh is highly trained to put in implant dentures, implant partials, implant bridges and crowns. Every time someone looks at your mouth they’ll see a work of dental art. Maxillofacial Prosthodontics: These include palatable obturators. Palatal obturators are like dental retainers. Dr. Yeh places them to close any defects of your hard and soft palate. These defects can reduce your ability to talk or cause nasal regurgitation while eating. Dental Integration: Dr. Michael Yeh specializes in integrating braces, implants and gum sculpting. You’ll get excellent results in oral appearance and function. Dr. Yeh and his staff work hard to make your dental experience comfortable. Below are some ways he and his dental staff work to make your dental experience more comfortable. You’ll leave our dental offices with healthier and eye-catching smiles. He researches predictable and effective dental techniques, materials and instruments. You’re able to experience less pain and have shorter dental visits. Dr. Yeh has extensive dental laboratory experience for better looking teeth and smiles. People will notice your new smile and teeth everywhere you go. He specializes in treating anxious and fearful dental patients. Sedation dentistry is one way he can complete years of dental procedures in one visit. You’ll wake up having not experienced, fear, stress or anxiety. Dr. Michael Yeh’s uses a “Personal Philosophy on Dental Care”. “I’ve been practicing for over 20 years. Many things have changed over the past 20 years in dentistry. I see people who have dental problems and when I’m finished with their treatments, they’re happy. We change people’s lives with our dental care. I listen to what my patients say. You and I decide what type of dentistry needs to be done and what’s to be done first. I diagnose your mouth the way I would diagnose my own family. I’ll tell you everything about your dental treatment, make my recommendations and give you alternative dental treatments. You decide which dental services you’d like me to do. You won’t feel forced into doing any dental treatments. I believe oral health is part of your overall health. It affects you in many ways. These include your physical appearance, emotional status, mental outlook and well-being. Oral health affects your career, social life, self-esteem and quality of life. I believe the oral system is an important part of your total health. Throughout his dental career Dr. Michael Yeh has developed many academic and professional affiliations. He continues to add to his academic and professional affiliations to better serve your families dental needs. Click on any of the links below to learn more about the academic and professional affiliations of Dr. Michael Yeh. Dr. Michael Yeh has completed two years of advanced dental training. From 1990-1992, Dr. Yeh completed his advanced training in all areas of dentistry. You and your family will get the latest dental treatments, techniques and more. Below is a list of some of his advanced dental training. If you’ve been told you’re not a candidate for implants still contact us. We have dental options that may help you. We have advanced dental techniques to replace lost bone and allow you to be a candidate for dental implants. With over 20 years of dental experience, Dr. Michael Yeh can help you. He has extensive dental training. You and your family will get the dental services you need. His advanced dental training allows Dr. Yeh to give you a more specific diagnosis and dental treatment options. Do you have a question for Dr. Michael Yeh? Contact Dr. Yeh now and he’ll provide you with a direct response.